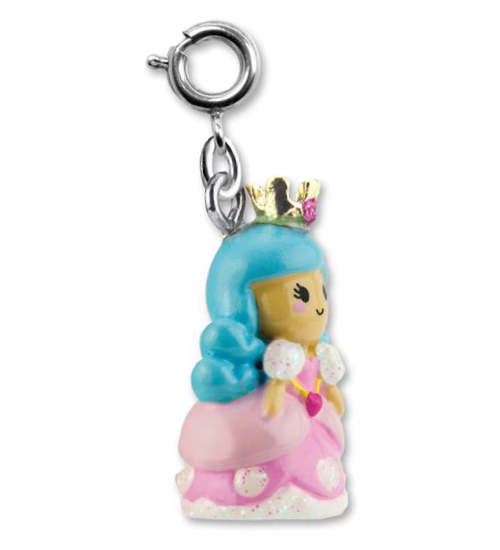 Channel your inner princess with this delightful CHARM IT! 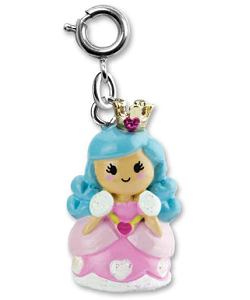 Princess charm. With a beglittered golden crown adorning her long blue enamel hair, this 3-dimensional princess charm is all smiles and ready for any royal gathering in her pretty-in-pink gown complete with glittery white sleeves and trim, and yellow sash with hot pink heart accent. With the simple snap of a clasp, this CHARM IT! 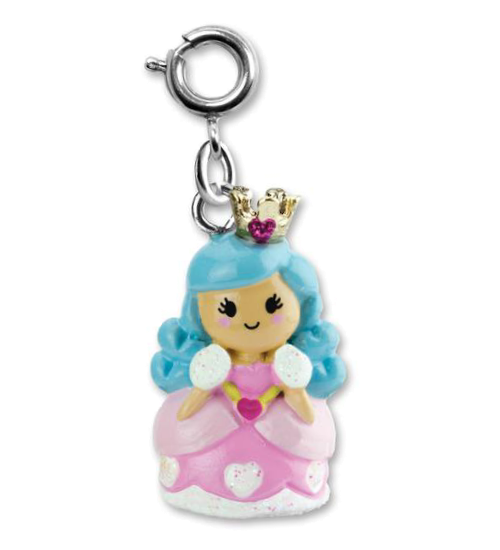 Princess charm is the perfect way to add whimsical personality to your charm bracelets.